The undeclared war between the USA and USSR lasted nearly half a century. A byproduct of World War 2, the Cold War's first tension's began in August of 1945. Following the surrender of Japan to allied forces, Soviet forces occupied Korean territory north of the 38th parallel, while US troops took the south. Eventually, this division led to a 3 year armed conflict that would test the capacity of the newly created United Nations. But the Korean War was just the beginning of a protracted struggle between the East and West in which the world would witness a laundry list of proxy wars, standoffs, and a startling arms race. It wouldn't be until the collapse of the Soviet Union at the end of the 20th Century that Russo-American relations would thaw. Despite the efforts of both the Clinton and Bush II administrations, relations with the east have not tremendously improved, and bilateral efforts between Russia and the United States hit their lowest level since the Cold War under Barack Obama. 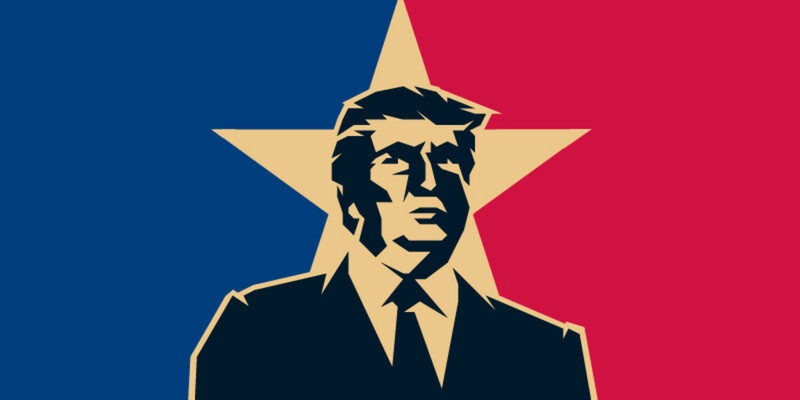 With a new president now in charge, foreign relations will most certainly have a unique 'Trump style' approach. While he's just getting started, we already have a pretty good idea of the direction he'll move in. 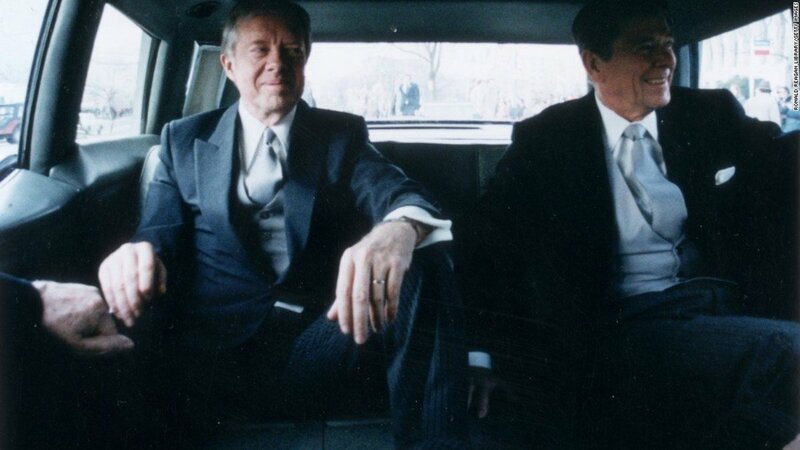 When Ronald Reagan took up the White House in 1981, he began immediately expanding his predecessor's strategy. Whereas Carter had supported anti-communist forces in Afghanistan, Reagan now sought to implement this tactic across the globe. He increased both domestic military spending and foreign aid to anti-Soviet combatants in a policy dubbed the "Reagan Doctrine." Going above and beyond the Truman Doctrine, which simply called for the containment of communism, the Reagan Doctrine aimed to covertly rollback communist influence to end the Cold War once and for all. In 1985, after securing a landslide victory a year earlier, Reagan's holistic foreign policy appeared to be working well. The Soviet's war in Afghanistan had been dragged out far longer than was anticipated, and they were now seeking to end it. Aiding the case for the Reagan Doctrine, Moscow failed to respond to the next-generation missile defense system Reagan unveiled in 1983, and the Russian economy was stagnant by mid-decade. In response, new General Secretary of the Soviet Union Mikhail Gorbachev opened the doors to foreign investment in order to alleviate economic downturn, further undermining the communist ideology of the country. Instead of continuing the arms race that her persisted since the fall of the Third Reich, Gorbachev vowed to invest in domestic economic growth. By 1987, a new nuclear reduction pact had been reached, and a definitive thawing of relations began. Reagan Endorse's George H. W. Bush to succeed him in 1988. 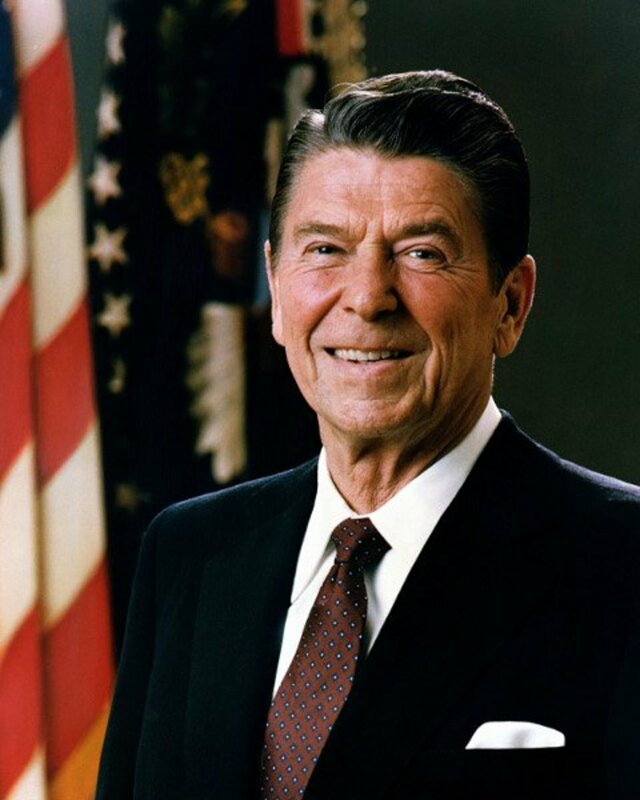 Reagan's term expired in 1988 and he handed over the reigns to his former Vice President George H W Bush in 1989. 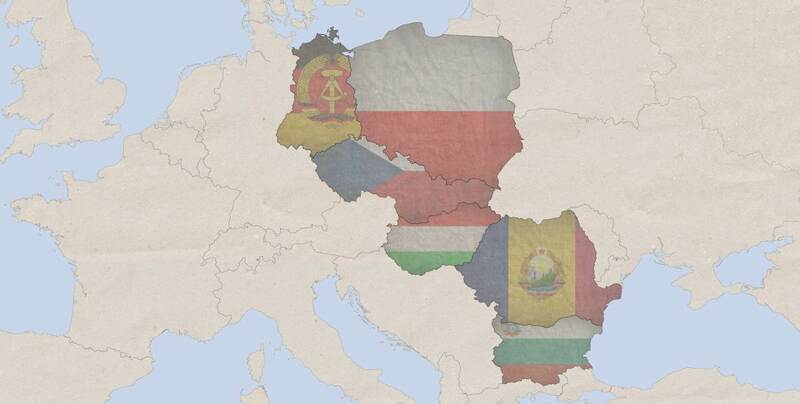 That year, Eastern Europe become consumed by revolutionary movements in an effort expel communist influence. The Reagan Doctrine was extended, and the cooperation between the US and USSR continued. The outlook was bright. Map of European Nations that Experienced a Revolution in 1989. The Berlin Wall came down in November of 1989 with total reunification of the German state happening in 1990. 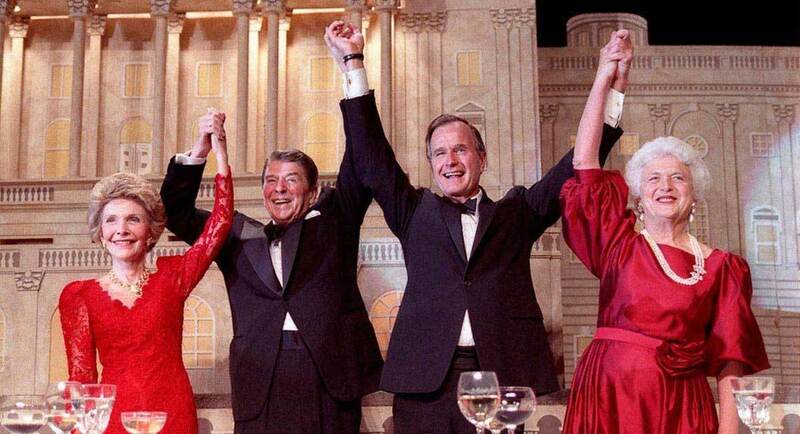 Finally, in December of 1991 and despite an attempt to prevent so, the Soviet Union was officially dissolved after almost 70 years of continuous existence, with president Bush declaring "By the grace of God, America has won the Cold War." 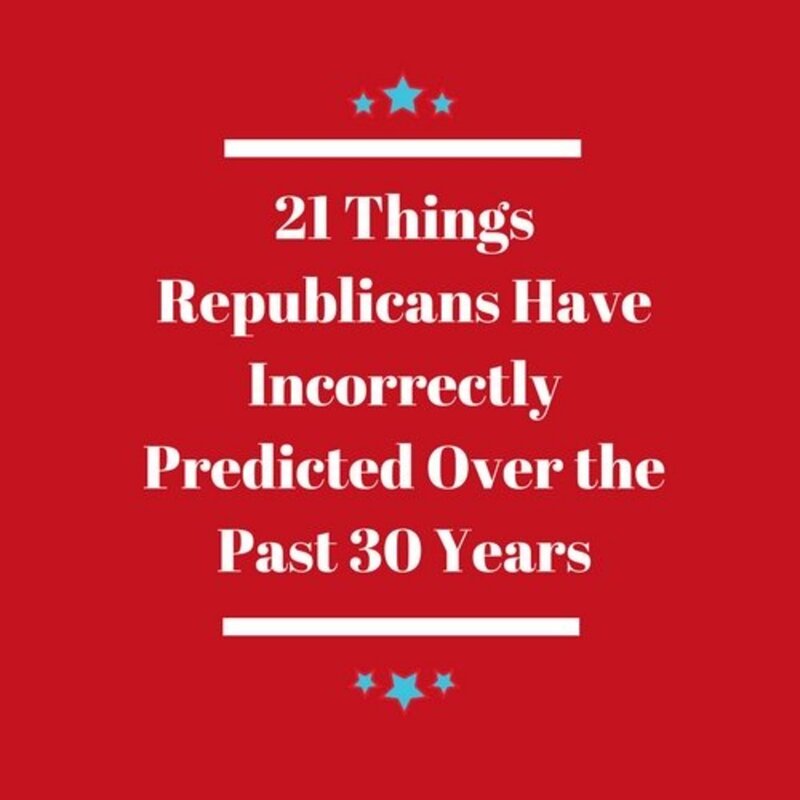 To Bush, Reagan, and their Republican allies, the collapse of the Soviet Union was a landmark victory, and confirmed that a hard-line stance in the arena of foreign affairs works. 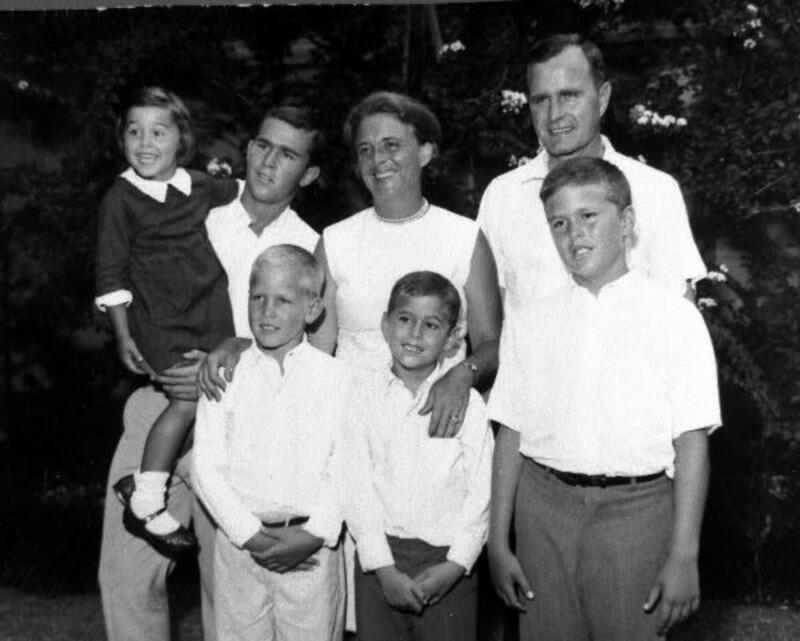 Despite his successes on the international scene, Bush failed to secure reelection to a second term. With a faltering economy, Bush lost reelection in 1992 to Bill Clinton, who touted an economic recovery as his top priority. As such, foreign affairs took a backseat, and the "Clinton Doctrine" was far less refined than Reagan's. For the entirety of his first term, Clinton was able to cash out on the peace dividends earned by Reagan and Bush. A decrease in military spending, coupled with a policy mainly focused on non-intervention, dominated Clinton's foreign policy. To Trump however, this inaction was a grave mistake, as it allowed the rapid rise of Islamic terrorism. The 1993 World Trade Center Bombing, the 1998 US Embassy Bombing, and the 2000 USS Cole Bombing, were all caused not by intervention but by a refusal to stem radicalism. Clinton had no political motivation to intervene, and as such he didn't. Although communism had fallen, and no longer represented the primary threat to the West, Islamic fundamentalism was not recognized as it's successor. Trump views the Clinton Doctrine as the start of a long series of foreign relation failures. 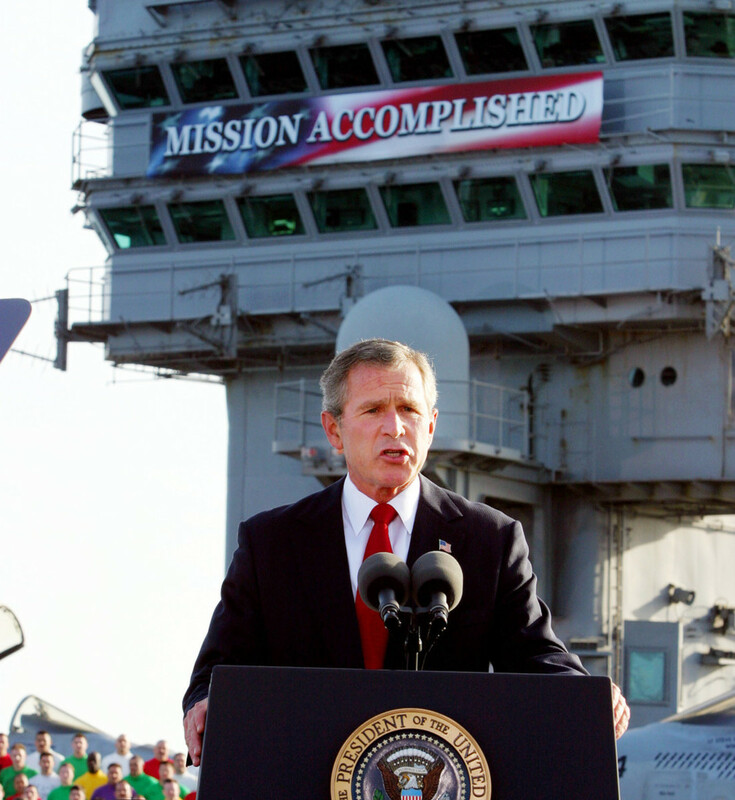 President Bush stands aboard the USS Abraham Lincoln to deliver his Mission Accomplished speech. On September 11th 2001, the next global conflict began: the War on Terror. George Bush, having taken office just eight months earlier, immediately had to shift his intentions from 'Compassionate Conservatism' to unilateral destruction of America's enemies. 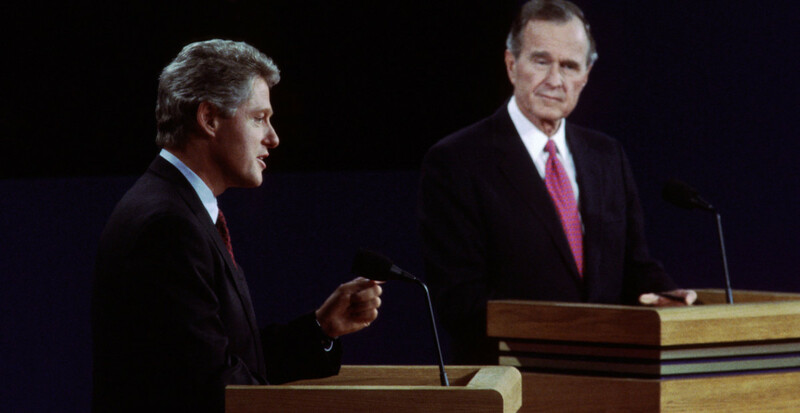 While on the campaign trail, Bush painted the Clinton administration as too interventionist that had committed excessive funds to 'nation-building' while the homeland suffered. He vowed, if elected, to limit the US involvement in foreign wars, and invest instead in the intelligence community, which he claimed became substandard under Clinton. His first action under this new doctrine was to invade Afghanistan and depose of the Taliban, which came about following the Soviet's invasion. Bush accused the Taliban of harboring al-Qaeda and Osama bin-Laden, who were responsible for carrying out the 9/11 attacks. In October of 2001, following several weeks of covert intelligence operations, a full fledged invasion of the country began. What followed was the longest wars in US history, with no clear definition of success. Bush furthered his doctrine in 2003 by controversially toppling Saddam Hussein's Iraqi regime. Having accused Saddam of building and utilizing weapons of mass destruction in 2002, he pledged to fulfill the regime change envisioned by his predecessor in 1998. In one month, US-UK Collation forces toppled Saddam, and defeated what was once the 4th largest army in the world. While Trump may have supported an invasion before it occurred, his tone quickly changed, and he now views the removal of Saddam Hussein as one the principal causes for the rise of ISIS. He believes that while Saddam was a brutal dictator that should have been tried for war crimes, it was not the place of the American government to do so, and the alternative, while discouraging, was necessary to ensure radical terrorism remained contained. 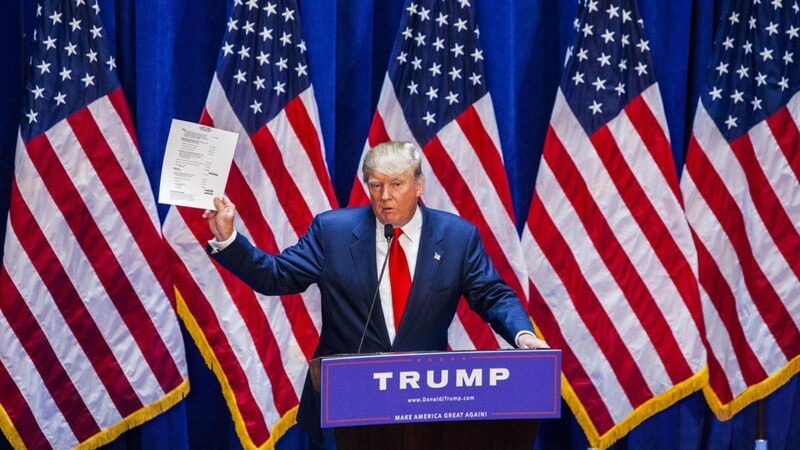 Overall, Trump's opinion of the Bush Doctrine is a negative one. Whereas Clinton did too little to stop radicalism, Bush tried doing too much, and ended doing very little or making things worse. While the deployment of major US resources was needed, these assets were misused, and had almost no effect on stopping the growth of organizations like ISIS. Bush was a neocon who believed the US should go to the ends of the Earth to promote democracy, but Trump acts like a paleocon who recognizes you cannot force your culture anywhere you wish, and that defense is the best offense. 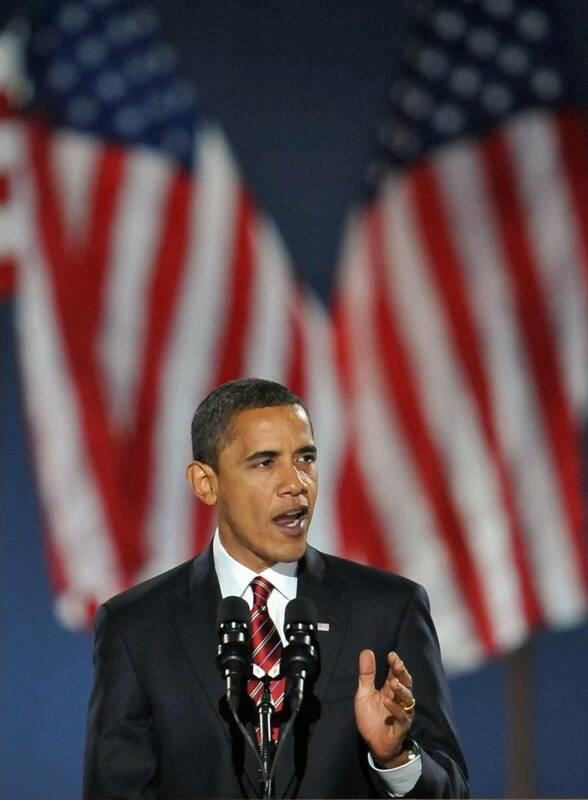 Barack Obama delivers his acceptance speech in 2008. Bush left office with the lowest approval ratings of any president, and almost guaranteed defeat for any Republican seeking to succeed him. As such, then-unknown Illinois Senator Barack Obama swept his GOP opponent John McCain in the 2008 election, and promised the American people that he would end the combat operations that had consumed the nation under his predecessor. By 2011, US troops were withdrawn from Iraq, and a concrete plan to do the same in Afghanistan was formulated, being mostly finished by 2014. The Obama Doctrine was less defined and primarily focused on reversing the failures of the Bush Doctrine. Instead of American unilateralism, Obama sought multilateral relations with sovereign states, and to use the American military to keep the peace, instead of to topple regimens. He sought empathy and understanding, instead of the my-way-or-the-highway approach of George Bush. Under this strategy, Obama secured a non-nuclear proliferation treaty with Iran, a climate pact with nearly two hundred other nations, normalized Cuba-US relations, and, most notably, killed bin-Laden. But the Obama Doctrine has not been without its setbacks. North Korea, despite being under the heaviest sanctions since the Korean War, has continued developing its nuclear arsenal, with increasing success. China has become far more assertive in southeast Asia, reasserting claims to territory in the South China Sea. Russia invaded the Crimean peninsula in 2014 and annexed it as its own territory. Becoming further entangled in international affairs, Putin announced a backing of Syrian dictator Assad in 2015 with Russian airstrikes targeting US backed rebels. To Trump, these failures are grave, and are more appeasement than assistance. Instead of negotiating with Iran, Obama should have taken a note from Reagan's book. Instead of withdrawing from Iraq, Obama should have ensured the growth of ISIS was capped. Instead of standing against Russia, Obama should have found common ground. In summary, when Obama should have played deal maker, he didn't, and when he should have stood his ground, he didn't. Trump's foreign policy will most likely be a hybrid of his predecessors. He will seek the success of the Reagan doctrine in which he will attempt to achieve a sustained long-term suppression of radical Islamic terrorism across the globe but will utilize Obama's tactic of no boots on the ground while finding mutuality with states like Russia and Syria. On other issues, such as Iran, Trump will most likely follow in Bush's footsteps and be far less willing to negotiate. He will spend far less time and resources on nation building however, and will most likely move to limit the amount of foreign aid to other nations, particularly Afghanistan. Despite his hard-line stance on the Iran treaty, Trump appears far more willing to embrace diplomacy than the Republican presidents before him. Whereas Reagan or George W Bush weren't afraid to dispatch military assets when necessary, Trump appears weary of engagement when more civil options exist. 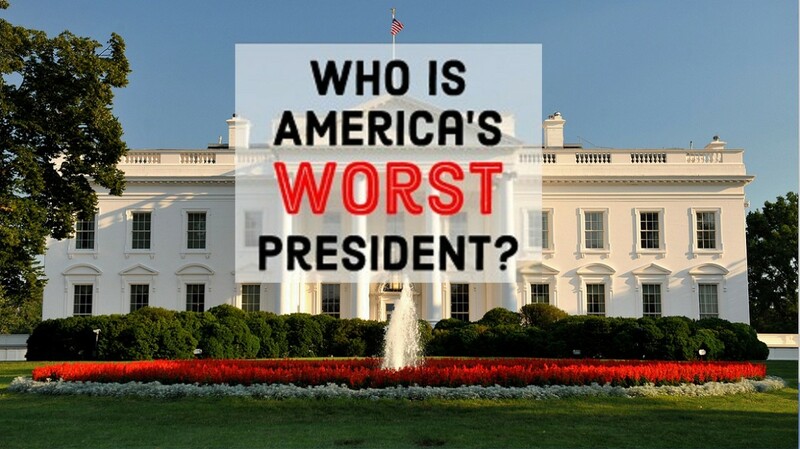 Seeing the failures in Iraq, he will most likely have reservations about entering into any prolonged war. In his acceptance speech on election night Trump stated "We will seek common ground not hostility, partnership not conflict" and that the US will "get along with all other nations willing to get along with us." However despite Trump's diplomatic embrace, he will also attempt a major increase in military spending. In a nod to Teddy Roosevelt, Trump will certainly carry a big stick, but most likely won't speak softly. To backup his diplomatic efforts, Trump wants a military capable of intimidation; a 'peace through strength' ideology that Reagan first pioneered. What beholds foreign policy under Trump is not set in stone. He is undeniably unpredictable, and may shift his stance at any time. 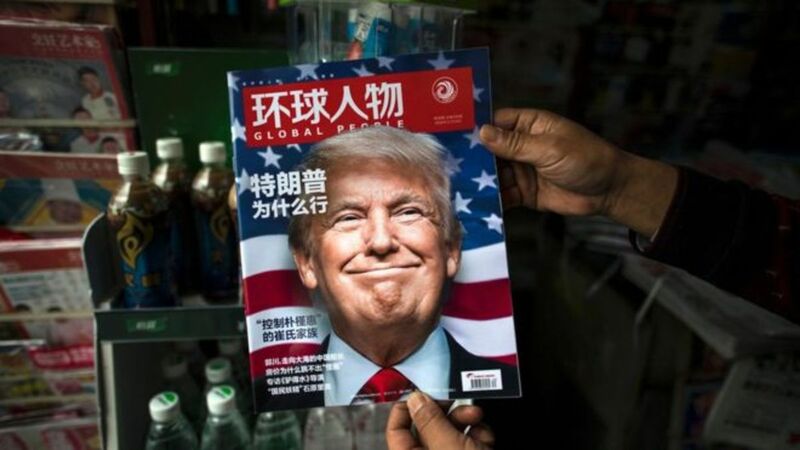 With a China that is rapidly pushing the envelope, a North Korea moving closer to nuclear armament, and relations with Russia still rocky, Trump will face major foreign policy decisions in the coming months and years. What is clear is that Trump is unlike any other, and his doctrine will be just as his presidency: unorthodox. Sanx, Of course you didn't name one ally he has destroyed or how he has embraced any enemy because you can't - what you said is a lie. So far his policy is to destroy allies and to embrace the enemy, except China. He will not need a foreighn policy because we will be to divided at home to worry about anything else. The only foreign policy that was unorthodox (an unorthodox failure) was Obama's lack of foreign policy which led to the rise of ISIS, Soviet and Iranian dominance in regions of the middle east, Russia's annexing of Crimea, chaos in Syria, etc. etc. Analysts say, from the Middle East to Russia to Asia, President Obama’s foreign policy has left the U.S. in a weaker position than when he took office. U.S. relations with traditional allies such as Israel and Saudi Arabia have frayed badly, Moscow is exerting its power increasingly in Syria and in Eastern Europe, and even the U.S. relationship with Western Europe has been called into question. On his watch, U.S. influence has diminished in all of those regions. The Iran nuclear deal will go down in history as a massive failure and a very dangerous, poorly thought-out move, it is very short-sighted and will certainly allow Iran to get a nuclear weapon within this generation. You say Obama was reversing the failures of Bush? He basically doubled down on Bush's wars when he took office. You say "instead of American unilateralism, Obama sought multilateral relations with sovereign states, and to use the American military to keep the peace, instead of to topple regimens." You just described what even Obama called leading from behind which has proven to be a colossal failure. Funny that all I just mentioned you conveniently forgot to mention under Obama's foreign policy which leads me to ask why would anyone believe anything you wrote in this hub page? 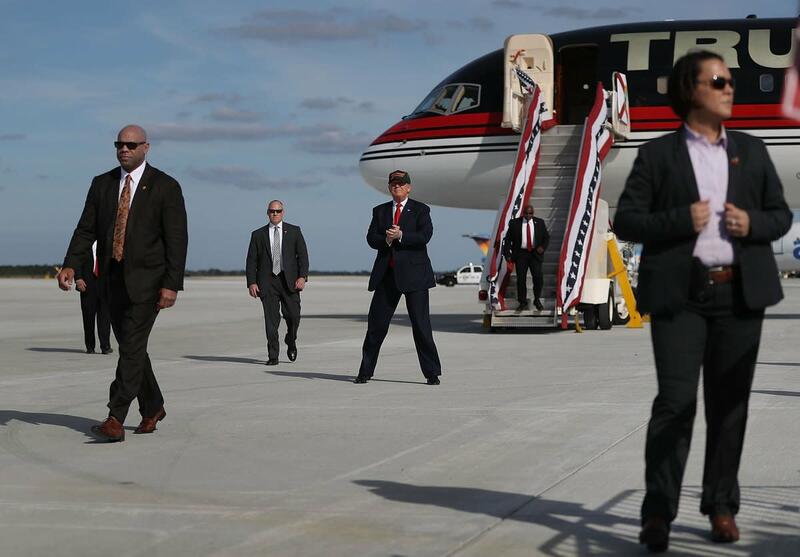 It's obvious to anyone informed on foreign policy Obama's foreign policy wasn't to lead from behind but to lead from his behind, it has been a total disaster and it will take a pragmatic, tough no nonsense leader like Trump to fix it.